In 4K, the 2016 CMA Awards Red Carpet never looked more red. The recently-launched Exclamation truck from mobile production specialist TNDV has been around the country over the past few months, powering live, multi-camera productions for TV broadcasts, worship, corporate and other events. On November 2, TNDV flexed Exclamation’s 4K muscle for the first time at the 2016 CMA Awards, bringing DirecTV viewers stunning visuals of Red Carpet action and interviews for a live two-hour special. 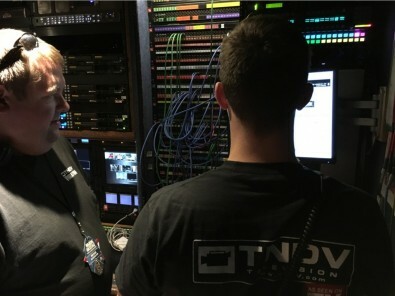 TNDV’s 'Aspiration' truck joined 'Exclamation' on site at the Bridgestone Arena in Nashville to accommodate additional HD productions. 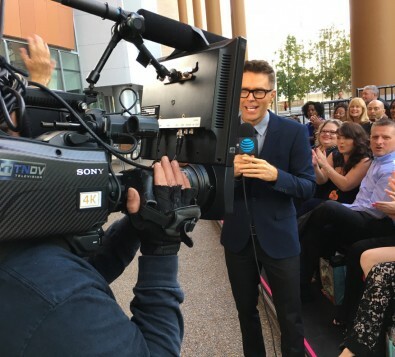 This included the live-streamed ABC Backstage program over ABC’s Facebook page, presenting interviews with award winners and celebrities including Entertainer of the Year winner Garth Brooks, Keith Urban, and Reba McIntire. For TNDV, the 2016 CMA Awards marked a milestone and a homecoming. Taking place in TNDV’s home city of Nashville, the company—recently named 2016 Small Business of the Year by The Nashville Journal—celebrated its ninth year of association with the CMAs. “It started with an idea they had about producing a single-camera live stream of their pressroom feed, and our responsibilities have grown every year,” said TNDV Owner and President Nic Dugger. “In a way, this remains our first priority: Working directly with the CMA to ensure that hundreds of media members can view the show and record audio, and acting as their technical liaison for all Red Carpet video and audio needs. Three live cameras captured and fed Red Carpet limo arrivial action to the media. While these core activities remain significant to the overall production, TNDV’s success with the CMA Awards over the years has led to new challenges. DirecTV reached out to Dugger earlier this year about testing Exclamation’s 4K infrastructure at TNDV’s Nashville warehouse, and quickly hired the company to produce the DirecTV AT&T Red Carpet Special. 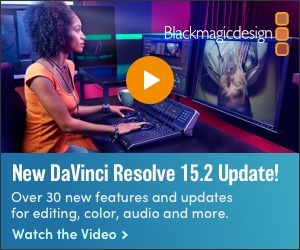 Using Exclamation’s quad-link architecture, the complete 4K infrastructure leveraged the truck’s existing Grass Valley Kayenne switcher, AJA Fido fiber bricks, and Ross Video Xpression graphics, while EVS XT3 instant replay servers and Sony 4K cameras were added at the client’s request. Inside the Exclamation truck at the CMA production. “We had 12 full-time staff members along with a supporting crew of 30 freelancers to ensure expectations were exceeded for all clients, viewers and event sponsors,” said Dugger. “There were 30 crew members working inside Exclamation alone, each of whom needed to see various camera and instant replay feeds, audio streams and data at any time.